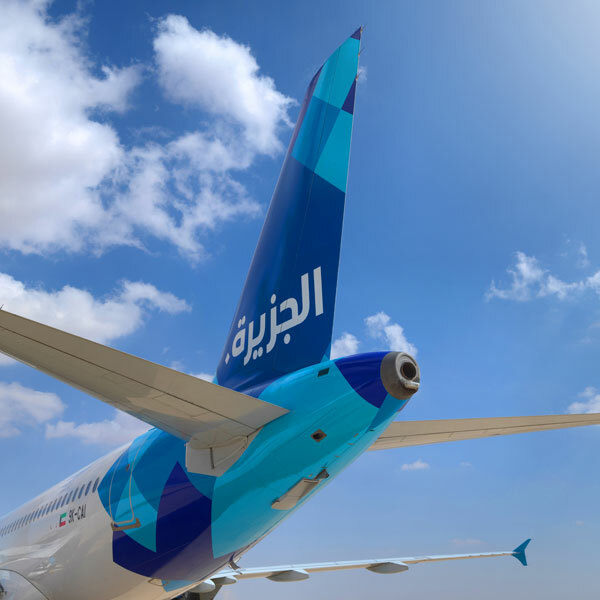 Jazeera Airways is one of the few low-cost airlines in the Middle East, offering passengers comfort and ease of flight, without breaking the bank. Reviews of the airline all have one thing in common, and that is to commend Jazeera Airways on its precision when it comes to getting passengers to their destination on time. The airline has a dedicated department to enriching the broader community, and aims to empower the various organisations that they contribute to. Prefer to book with a travel expert? Call Travelstart at +202 23225333. In a land where everything is priced as gold, Jazeera Airways has done a fantastic job of bringing low-cost flights to the Middle East. Jazeera has been a labour of love since its conception in 2004, and is as much publicly owned as it is private. 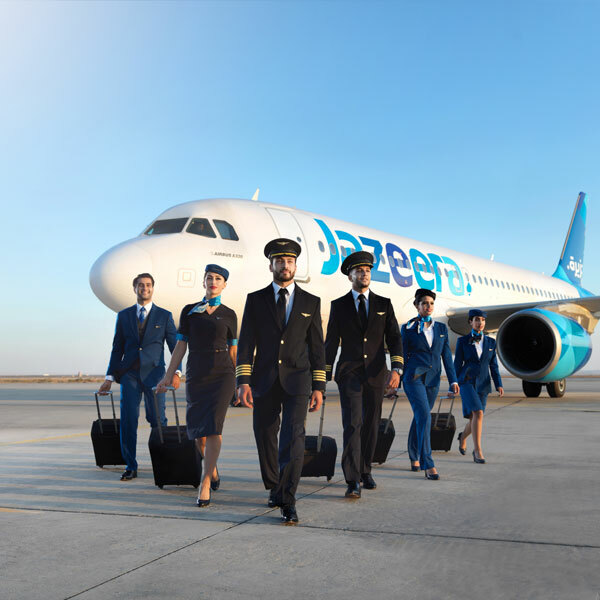 Jazeera Airways serves more than 1.2 million passengers every year, getting them to their 17 destinations across the Middle East, Africa and Asia. The airline offers a unique Park & Fly service at Kuwait International Airport, where you can valet your car, check-in at a dedicated counter and take a shuttle right to the departure area at KIA. Their Economy Class offers efficient services with a generous baggage allowance of 30 kg. Once onboard, you will be served your choice of meals. The airline pays special attention to the comfort of its passengers, and has made headlines in the past for being especially accommodating towards women – offering them access to the exclusive Jazeera Lounge on Mother’s Day – regardless of cabin class. They also have a strong sense of social responsibility, and can often be found doing their bit for humanity. Jazeera Airways is known for its impeccable timing – ensuring that you always get to your destination as scheduled. Book Jazeera Airways flights to Kuwait City, Istanbul, Cairo, and other exciting places online with Travelstart! Jazeera Airways is especially loved for its generous baggage allowance. Baggage restrictions apply to both local and regional flights. At the Kuwait International Airport, the Jazeera Airways kiosk will be open and available for check-in up to six hours before your scheduled flight. 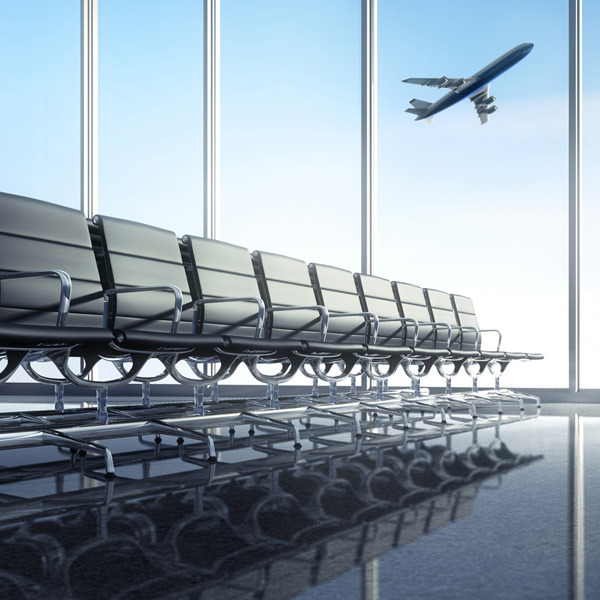 At all other airport stations across the globe, you may check in three hours prior to your flight. Check-in counters close 45 minutes before departure time, except for at Egypt and Dubai airport kiosks, whereby check-in closes one hour ahead of departure time. Passengers are encouraged to make use of the Jazeera Airways online check-in system, which can be found on the airline’s website. Meals Passengers in Economy are given a selection of meals to choose from during their flight, while those in Business may order off the à la carte menu. Jazeera Airways flies to 17 destinations across the Middle East, Asia and Africa, getting their passengers where they need to be.